Three weeks after their last debate, Senator Ted Cruz and Representative Beto O’Rourke will face off again Tuesday night for the second and perhaps final time, as Mr. Cruz seeks to widen his lead in the polls and Mr. O’Rourke tries to restore dimming Democratic hopes that he can unseat Mr. Cruz and pull off the biggest upset in modern Texas political history. The rival campaigns had initially agreed to three debates, but one was postponed and has not been rescheduled. 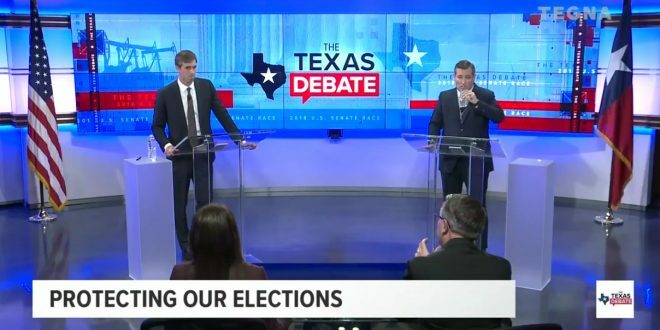 Tuesday’s debate, starting at 9 p.m. Eastern, will focus on domestic and foreign policy and can be streamed on the websites of KENS 5, the Texas Tribune and other news organizations.